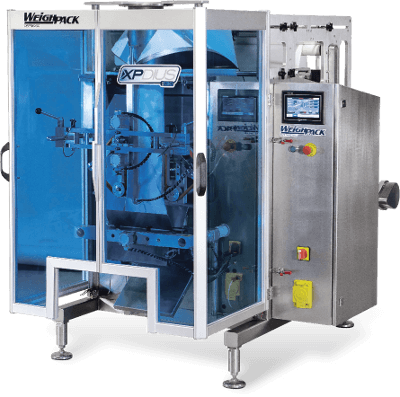 WeighPack manufactures a wide range of packaging machines specifically designed for bagging and container filling a wide range of powders including packaging flour, salt, sugar, baking mixes, spices, coffee grinds and more. Solutions include premade pouch packaging solutions, vertical form fill and seal bagging and container filling. Our packaging machines are specifically designed to handle all your free flowing and non-free flowing powder packaging needs. 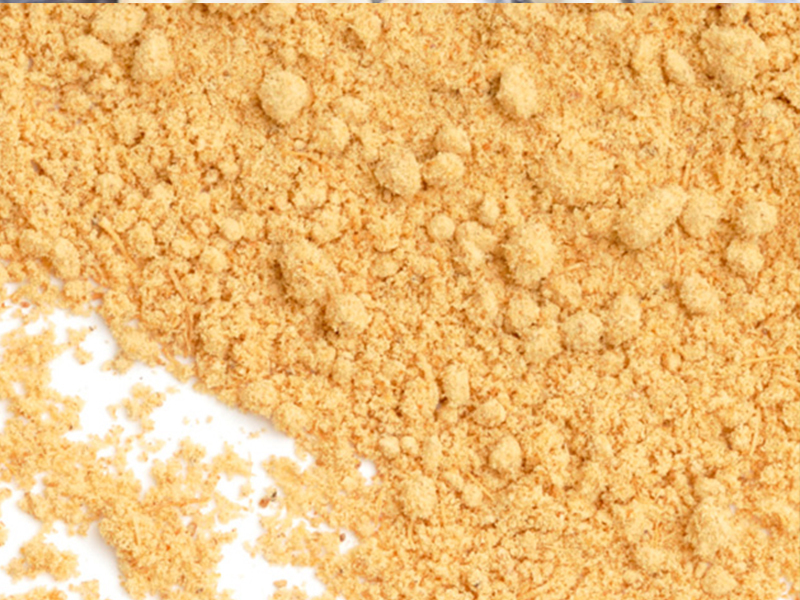 The Star Auger for powder and granular products is a great solution for your powder packaging. Pair it with our XPdius™ vertical form fill and seal bagger for an effective and compact complete packaging system. This complete packaging system uses roll stock film and will automatically produce both pillow or gusseted bags. Pair up the Star Auger and Swifty Bagger™ for pre-made pouches for an unique powder and scoop insertion solution that increases accuracy and throughputs while reducing waste. Available in different models, the Swifty Bagger™ runs stand-up bags, gusset, and flat bottom, with or without zipper enclosure. Fill containers at high speeds. 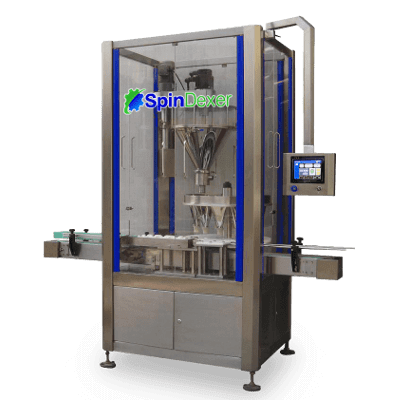 The SpinDexer™ with an integrated Auger is designed to fill powder products into rigid containers at speeds up to 100 containers per minute. 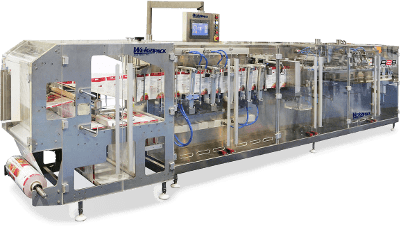 The SpinDexer™ includes a variable speed infeed / discharge conveyor, traveling funnel assembly, no container / no fill sensor and clog detection sensor as well as many more features. Reduce cost by making your own stand-up bags. Make, fill, and print in one shot with the R2B™ horizontal form and fill bagger. It is designed for ease of use, cleaning, and service-ability. The R2B™ increases productivity while reducing labor and film cost substantially compared to pre-made bagging solutions. A complete packaging system designed for powder packaging to fill and seal stand-up bags; erect, load and seal cases; then palletize for ship-ready containers. 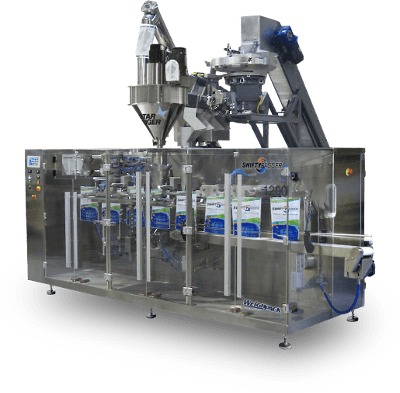 From product to pallet; this fully automated complete packaging system solution is designed to maximize overall productivity while reducing labor cost.